I have been one to bash Sierra Nevada Brewing, for their recent corporate tax dodge, and for shamelessly passing off all-dried-hop beers as "Fresh Hop Ales" (again and again and again). That doesn't prevent me from being a huge fan of many of their beers. And as an inveterate cheapskate, I find that some of their high-end beers are sold at very sensible prices compared to their peers. 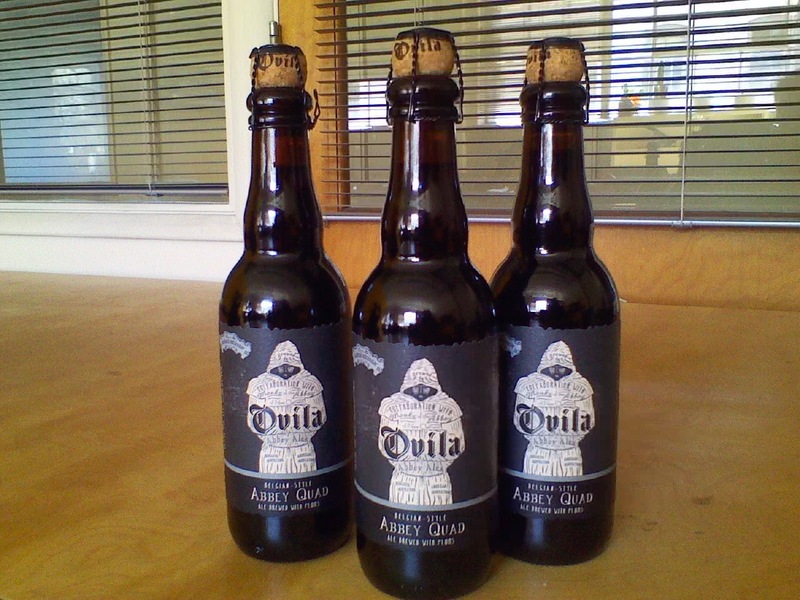 Case in point, Sierra Nevada Ovila Quad brewed with plums, on the shelf now in corked 375ml bottles for about $4. I picked up a couple last year in a grocery store almost by accident, and then was heartsick a couple days later when I couldn't find any more for sale anywhere in town. But I saw them on the shelf today, grabbed six of them, and then decided to share the love with you, dear readers. If you like a good Belgian quad, you'll want to try this beer, it hits all the bases (flowery Belgian yeasts, dark plummy richness, and a nice alcohol burn). The corked bottle argues against cellaring, but if this year's vintage is anything like last year's, it's good to go right now. Act fast, it's an occasional seasonal, and they'll go fast at that price.